Resetting the ECU (engine control unit) will completely reset your Lexus’ personalized settings. Disclaimer: The original DIY guide is from clublexus.com. You ar at your risk. Lexus IS, GS, RX, ES (2004-2014). The ECU is basically the brains of your car. 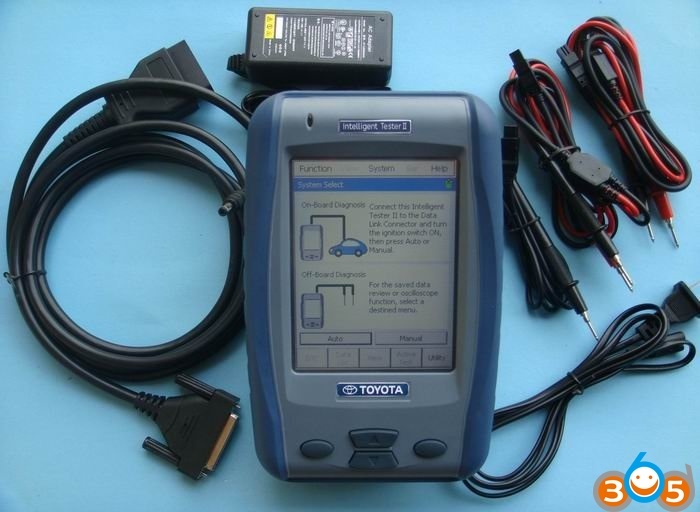 The ECU stores diagnostic trouble codes when it senses a malfunction so a mechanic can fix it later. 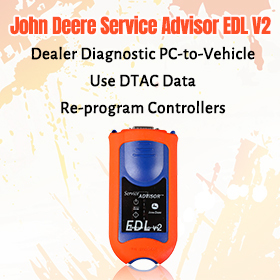 It’s also the ECU’s job to store your driving data to customize your ride. For around the first 1,000 miles of the ECU being reset, the car adjusts to the driver’s typical driving style. The transmission will try to go to a higher gear more quickly if driven constantly with a light foot. Conversely, if driven with a lead foot, the transmission will try to hold a gear longer for better acceleration. 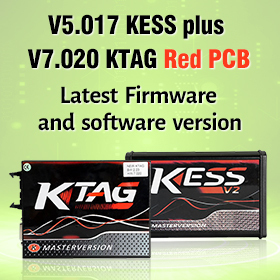 Resetting the ECU can help re-tailor the car to your liking. There are a few different ways to reset the ECU; the three main options are covered below. This is the main way to reset the ECU. Be warned that going this route will clear out all presets including those for your radio, seats, navigation, etc. This is the easiest option and potentially the most annoying because it forces you to reset the settings. 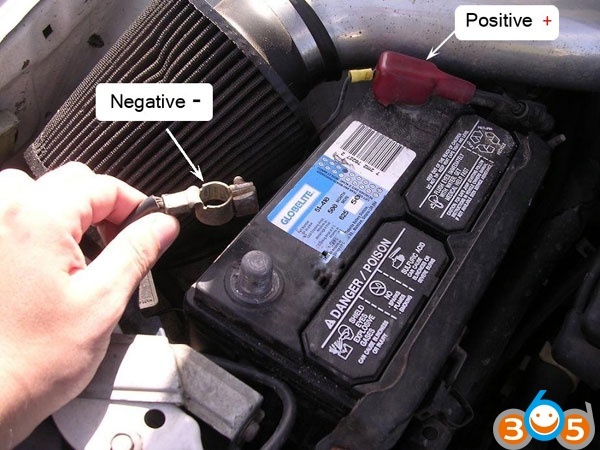 All you need to do is disconnect the negative battery cable for two to three minutes and then reconnect it. This is the recommended way. 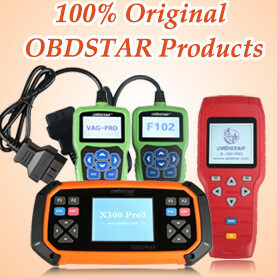 It’s the easiest, there’s no risk of getting shocked by the battery, and it requires no special tools. All you need to do is remove and then re-install two fuses. Locate the fuse box under the hood on the passenger side near the strut tower. If your fuse box doesn’t have the fuse puller in it, you can use pliers for the next step. 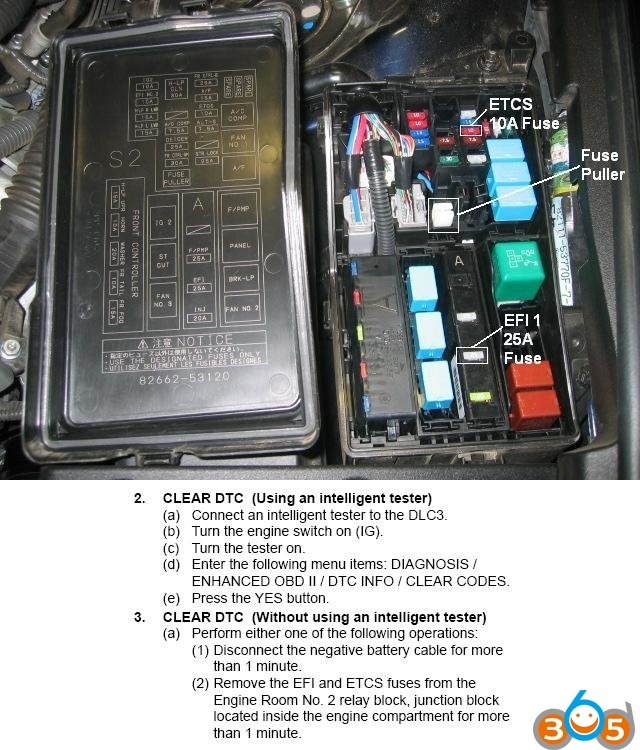 Using the diagram on the bottom of the fuse box cover, remove the EFI fuse and ETCS fuse. Wait two to three minutes with both fuses out at the same time. Re-install the fuses in their respective locations. 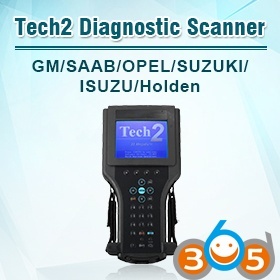 Some code readers or programmers such as the Intelligent Tester II IT2 have the ability to reset the ECU. 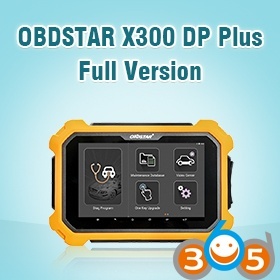 The steps for these programmers vary depending on the brand and model so you’ll need to consult the owner’s manual for the proper way to do this. The upside to going this route is that you don’t even have to get out of the driver’s seat to do it. If you reset the ECU via option 1 or 2, the first time you go to start the car it most likely won’t start. Don’t be alarmed; nine times out of ten this will happen for everyone, but as long as the battery cables were tightened properly or the fuses were inserted properly it’ll start on the second try. If you used option 3, this is less likely to happen but is still possible. Now that the ECU is reset, the learning cycle will restart to suit your driving style better!